You've just witnessed an emergency in which someone in trouble needs help. Will you be the person to provide that help? 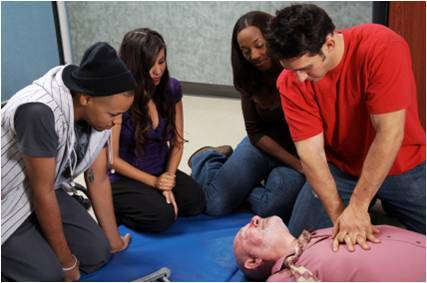 According to the bystander effect, the larger the number of observers to an emergency, the less likely it is that the victim will receive help. The considered psychological wisdom going back for nearly 40 years, when the bystander effect was first identified by researchers Bibb Latane and John Darley, holds that if you're the victim, you're better off if one person rather than a crowd is watching your distress. Bystander effect research was stimulated, in part, by the infamous case of a young woman named Kitty Genovese, who was raped and murdered on the streets of Queens, NY. The crime happened late one night when Genovese's neighbors reportedly stood by and did nothing to intervene in the brutal attack despite hearing her screams. Many introductory psychology classes still use this case to illustrate the bystander effect. Because the story was so widely told to hundreds of thousands of psychology students, and accepted as fact by virtually all professors teaching about the case, it might surprise you to learn that the details of the story weren't 100% accurate. Some neighbors did try to help but many simply didn't hear or see the crime and there literally was nothing they could have done to save her life. The facts of the story aside, the bulk of research evidence has mounted over the years to substantiate the bystander effect principle. Study after study continues to prove that the larger the crowd, the less likely anyone is to offer help. A "confederate" such as a graduate student hired to act the part of victim, enacts a scenario in which emergency help is needed. Sometimes the emergency occurred outside the line of vision of the subject, who only hears but doesn't see a person falling off a ladder or dropping a heavy object. In other cases a person on the street may ask either one or a group of people for help with directions or change for a dollar. "Dateline NBC" aired a program in the spring of 2010 called "What were you thinking?" in which the bystander studies were replicated and the results shown on screen tended to confirm the bystander effect. The theory of "diffusion of responsibility" is offered to explain the bystander effect. The theory states that people ask themselves: "Why should I help when there's someone else who could do it?" Responsibility for helping diffuses or spreads. Justlike a layer of oil, which becomes thinner the larger the area it covers, so our sense of responsibility weakens in the midst of a large group. Related to diffusion of responsibility is "social loafing," the idea that we will put in less effort on a task if the work is going to be shared by others. Group projects often produce weaker contributions by individuals than do individually graded or evaluated pieces of work. In the hundreds of bystander studies, a few anomalies stood out when bystanders actually didn't just stand by, but actually helped the victim. In some, when the groups observing an emergency were friends, they were more likely to help than when group members were strangers. They were particularly likely to help when the person in need of help was also a friend or is someone they see as similar to them in an important way (Levine & Crowther, 2008). Social psychologist Robert Cialdini points out that empathy is directly tied into feelings of "oneness" with the person in need. Others point to the importance of "we-ness," feeling that another person is a member of your own group, an idea proposed by Yale psychologist John Dovidio and his colleagues, who have conducted extensive research on the factors that contribute to discrimination. People will help others in emergency situations the more closely they identify with the victim as a member belonging to their own group. Bystanders can also break the norm and in this way break the power of the group to ignore a victim's pleas for help. In a large study of schoolchildren in the third to fifth grades, vulnerable children were less likely to be victimized in classrooms when other children defended them (Kama et al, 2010). 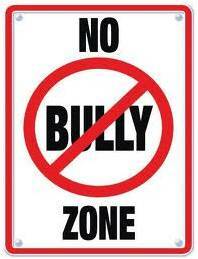 The child who is able to stand up for a bullied child might have special abilities to empathize. Parents and teachers can also create supportive environments to encourage kids to support other kids. Another Dateline episode, provided insight into the factors that promote such environments. Some social scientists believe that altruism, not aggression, is programmed into our human genome. Toddlers will help an adult even if they see no reward in sight. They will also model aggressive behavior if they see adults acting violently towards others, as was shown in Bandura’s classic “Bobo doll” experiments many years ago. Think about what happened on United Flight 93 on September 11, 2001. Passengers took their fate into their own hands and together joined against the hijackers to attempt to save if not the plane, then the intended target of the plane. Overcoming the bystander effect in such dire circumstances takes unbelievable courage, but it is clearly within our human potential to do so. Psychology provides impressive tools for helping out in emergencies; you can benefit from taking advantage of them to intervene in such situations. 1. If you're in trouble, pick out one person in the crowd. Making eye contact with a stranger brings some "we-ness" into that stranger's perception of the situation. 2. If you're a bystander, take action. Someone has to stand up first when in a bystander situation. Let that person be you. 3. Take advantage of our natural tendencies toward altruism. Assume the best in people, not the worst. Many people have a natural desire to help and will do so if you give them the chance. 4. Try not to worry about the consequences of helping. It's true that people who intervene in an emergency may be putting themselves at risk. But the alternative is to spend the rest of your life wondering if your actions might have saved someone else. 5. Model altruism and helping to the young. By showing that you have the guts to take charge of situations and help others in need, children will gain important lessons from you. It's up to us to decide whether to help our fellow humans when they're in need. We can be passive bystanders or we can step in and intervene. Within each of us is the capacity for heroism. Kärnä, A., Voeten, M., Poskiparta, E., & Salmivalli, C. (2010). Vulnerable children in varying classroom contexts: Bystanders' behaviors moderate the effects of risk factors on victimization. Merrill-Palmer Quarterly: Journal of Developmental Psychology, 56, 261-282. Levine, M., & Crowther, S. (2008). The responsive bystander: How social group membership and group size can encourage as well as inhibit bystander intervention. Journal of Personality and Social Psychology, 96, 1429-1439. Would You Fight the Gestapo?